Our newly refurbished showroom is situated in the centre of Earlstown, Newton-Le-Willows, we are easily reached and just a few metres from Earlstown Railway Station. Please see our Contact Us page for full details and map. Contact us by phone, fax, email, letter or simply call into our showroom. See our Contact Us page for full details. How do I obtain a price? You can contact us by email, fax, telephone or simply call into our showroom. 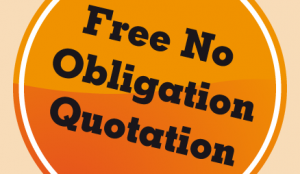 We can give you a price, based on your approximate sizes / styles of your windows / doors etc, supplied to us by calling into our showroom or sending us a quick fax / email – why not use our easy online quote form. Alternatively you may find it convenient to call us, take a look at our Online Quote Form for suggestions of information you might want to have handy. We can also arrange to visit you and will take all the necessary details and measurements for you, we’ll then contact you very quickly with our quote. When can I have my new windows fitted? Typically we can normally carry out your installation 4 to 8 weeks after we have received your signed order. How secure are your products? All our products are extremely secure and manufactured to the highest quality standards. Please refer to our website section on ‘crime prevention & security’ for further information. uPVC stands for Unplasticised Poly Vinyl Chloride. The components of PVC originate from the naturally occurring raw materials of petroleum, or natural gas and common salt. It is a chemical compound of chlorine, carbon and hydrogen. Unplasticised means that the material has not been softened by the addition of chemicals known as plasticisers. PVC is chemically stable and has no adverse effects; it is also 100% recyclable. There is no difference between uPVC and PVCu. Both terms refer to unplasticised (hard) PVC, which is used extensively in building products where rigidity is an important attribute. Any claims of better performance of PVCu over uPVC are therefore false. Do I need building regulation permission for my new windows/doors? Yes, Valmar Windows obtain all your necessary permissions. Why do I need building regulation permission for my new windows/doors? The Government issued an ‘Approved Document L’ and from April 1st 2002 it was brought into effect; it extends Building Regulations to cover replacement window and door installation. All installers of replacement windows and doors have to comply with the improved energy efficiency requirements. In practice this means we have to meet stringent energy efficiency targets. Products are measured by their “U” value: uPVC doors and windows cannot exceed a U-value of 2.0. The U-value is the rate at which heat is lost through the product. All Valmar Windows Limited products are fully part L compliant. Most conservatories do not require planning. However, it is necessary in some cases. When we carry out your site survey we can provide you with more information and advice. Alternatively, contact your local council for advice, see our Links section for further information. Where can we obtain technical information regarding your products?